First of all, congratulations to Nat who guessed correctly that The Devil’s Tower is indeed from Close Encounters of the Third Kind! Your ten points are in the post Nat!! It’s been really hot today, 94ºF (34ºC) so we’ve had to make sure we were drinking plenty of fluids. 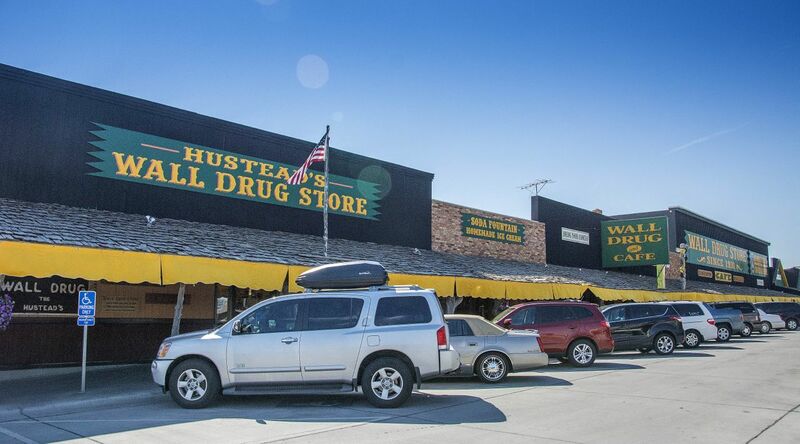 The small town drugstore made its first step towards fame when it was purchased by Ted Hustead in 1931 with a $3000 legacy. 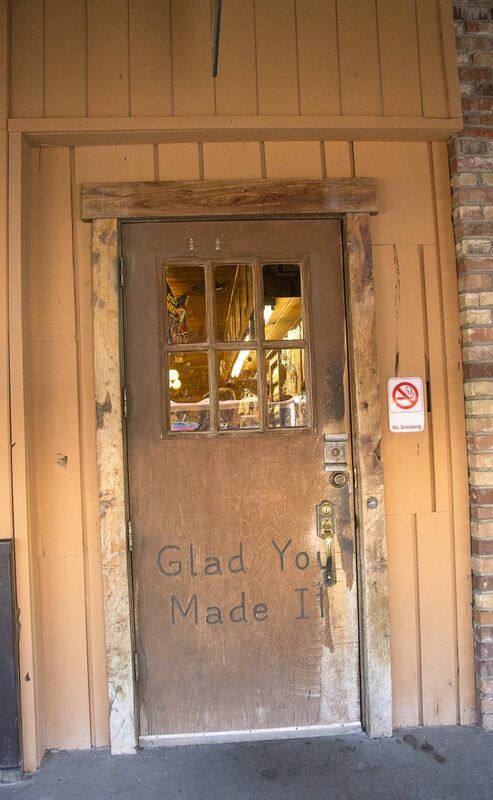 He bought Wall Drug, located in a 231-person town in what he referred to as “the middle of nowhere,” and strove to make a living. Business was very slow until his wife, Dorothy, got the idea to advertise free ice water to parched travellers heading to the newly-opened Mount Rushmore monument 60 miles (97 km) to the west. From that time on business was brisk. Billboards advertising the establishment can be seen for hundreds of miles throughout South Dakota and the neighbouring states. 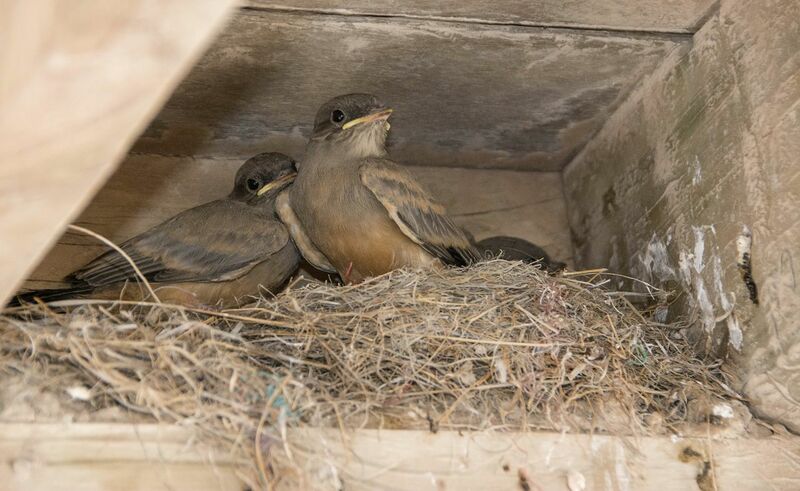 After ‘buying up the place’ which believe me is very easy to do, we headed off towards the Badlands National Park but along the way we were sidetracked to see one of the most moving things I’ve seen in a long while ………. the Prairie Homestead. 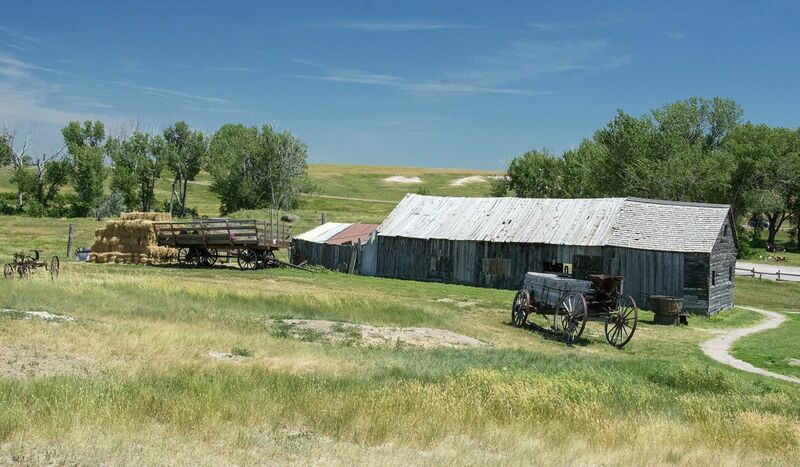 The Prairie Homestead was the original home, known as a sod home, of Mr and Mrs Ed Brown who homesteaded the 160 acres in 1909. All but one of the buildings have survived and just needed a small amount of restoration to bring them back to how they looked when they were originally built! Homesteading was a lifestyle of self-sufficiency. It is characterized by subsistence agriculture, home preservation of foodstuffs, and it may or may not also involve the small scale production of textiles, clothing, and craftwork for household use or sale. Use of the term in the U.S. dates back to the Homestead Act of 1862. Mr Brown was 55 when he moved part of his family, his wife Alice and grown son, Charles, in a wagon from Nebraska to the Badlands of South Dakota. 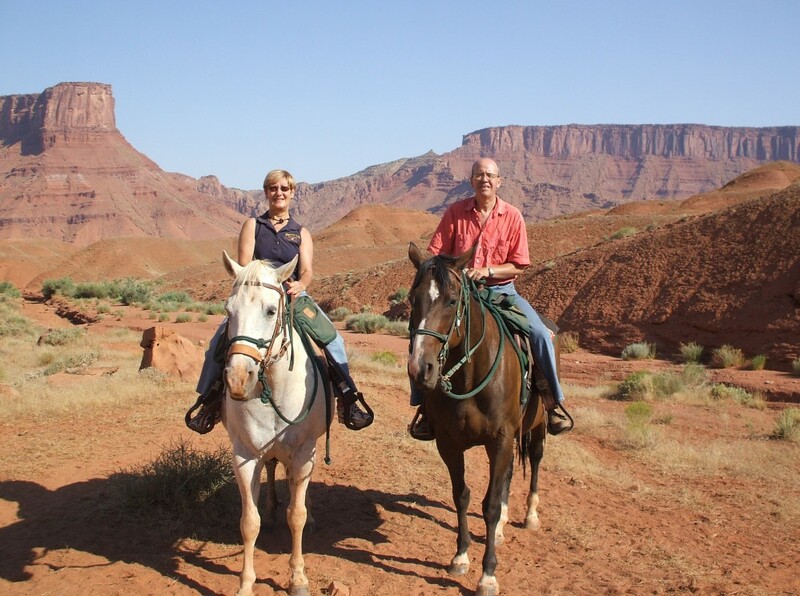 After 18 months of working the land he was able to pay $80 and receive a patent on the land. This he did. The home and outbuildings were literally dug out of the ground and it makes you appreciate what hard working, fearless people these pioneers were. Visual memories of homestead days are fast becoming extinct. 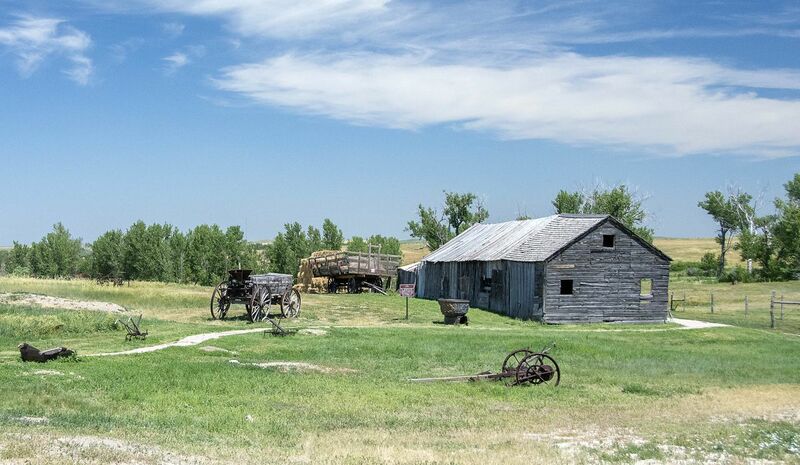 These pioneers played a very important part in setting the Great Plains of America. The home had not been lived in since 1949 when In 1962 it was bought by Keith and Dorothy Drew. 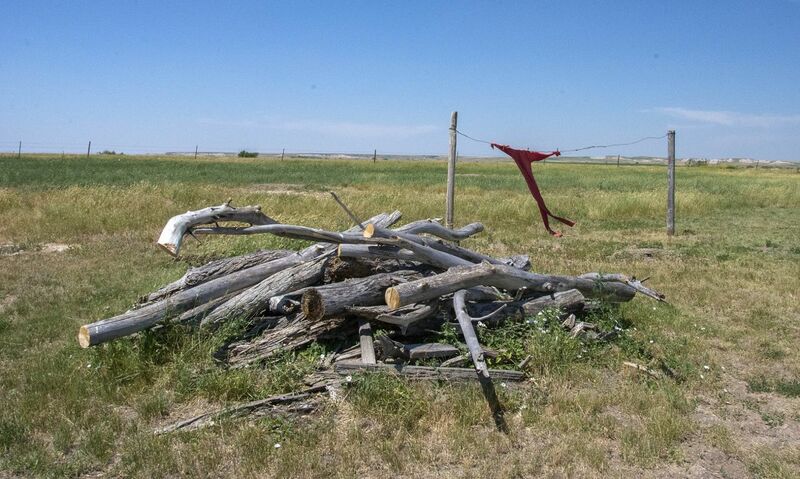 It was Dorothy who had the desire and vision to restore the Prairie Homestead for future generations to enjoy. One strange thing we saw today at The Homestead were white Prairie Dogs!! 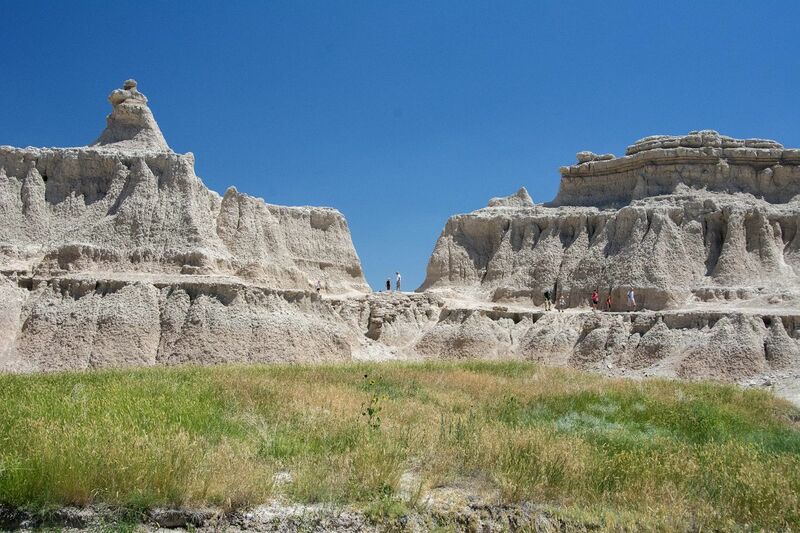 After spending an enjoyable hour there we moved on to the Badlands National Park. 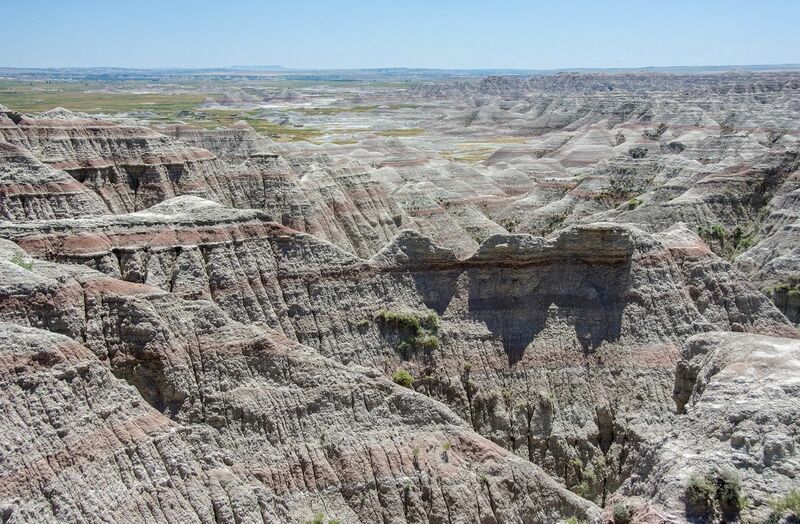 It consists of 242,756 acres of sharply eroded buttes, pinnacles, and spires blended with the largest undisturbed mixed grass prairie in the United States. 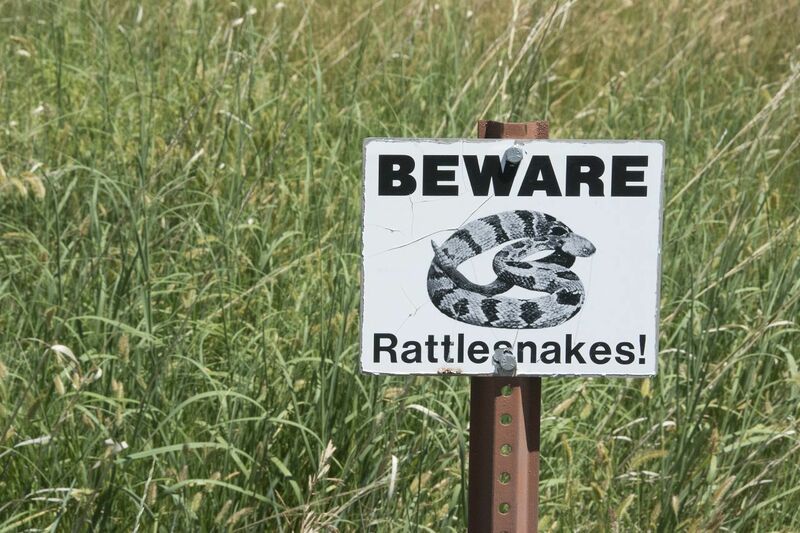 For 11,000 years, Native Americans have used this area for their hunting grounds. About 75 million years ago the area was covered by a shallow sea teeming with life. 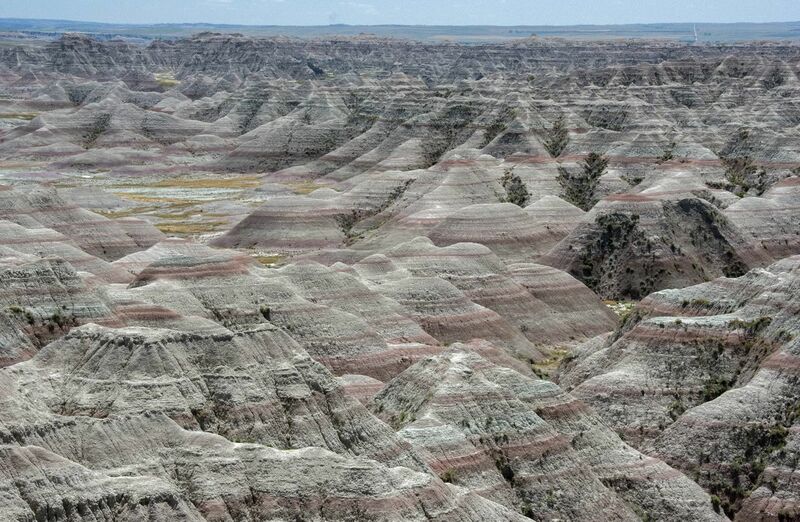 In today’s Badlands the bottom of that sea appears as a greyish-black sedimentary rock called Pierre shale and the layer is a rich source of fossils. Tomorrow we leave Rapid City and drive to Sioux Falls. This is just a stopover on the road to our next main stop, Winterset, Iowa …….. a film stop! Another ten points will be awarded for the first person to tell me which film that may be!! the movie would be Bridges of Madison County. We live close to Winterset. I love reading your post. Congrats Lisa, that is indeed correct. It’s on my favourites list. What a coincidence that you live close to Winterset! So pleased you are enjoying the blog. John Wayne was born there and there was a film called Winterset made in 1936. Close? Well done Malcolm. I was actually referring to The Bridges of Madison County with Clint Eastwood and Meryl Streep but I wouldn’t expect a guy to know about it, it’s a ‘chick flick’ really. I’ve awarded you ten points anyway for knowing about the film Winterset and also that John Wayne was born there. Congrats! I love that you clarified that you’re on the right in that picture! lol…that made me laugh! Also, Si’s a lucky man!! I never heard of Wall Drug Store, seems pretty awesome to me! Lots to do!! Did you get your fortune told by Pappy? 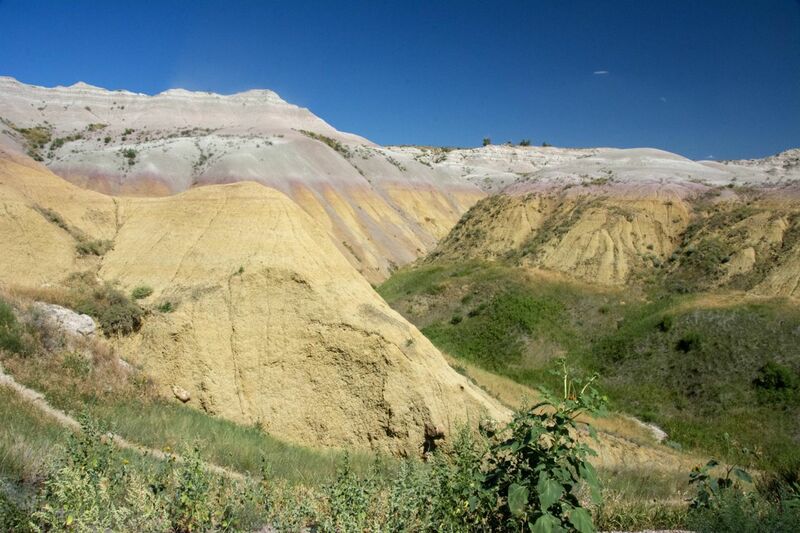 The Badlands look pretty cool, considering their name! 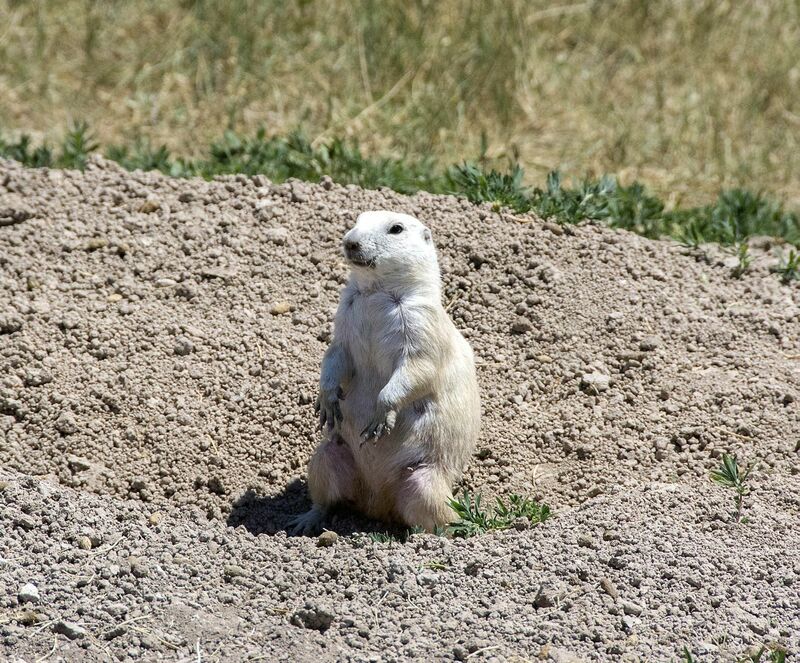 White prairie dogs…I guess their fur got bleached from the sun! Natalie! How could you not have heard of Wall Drug. Even us in the UK know about it. No, we were not brave enough to get our fortunes told! 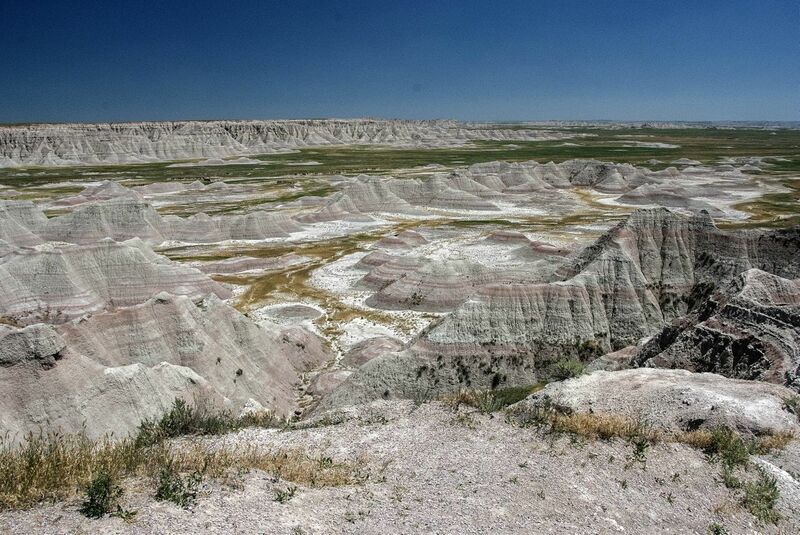 The Badlands were much smaller than we had anticipated. The scenery was amazing. I have to admit that I have not heard of Wall Drug either Sandra. I did notice that it looks like you’ve been replaced…buying too many souvenirs, eh? 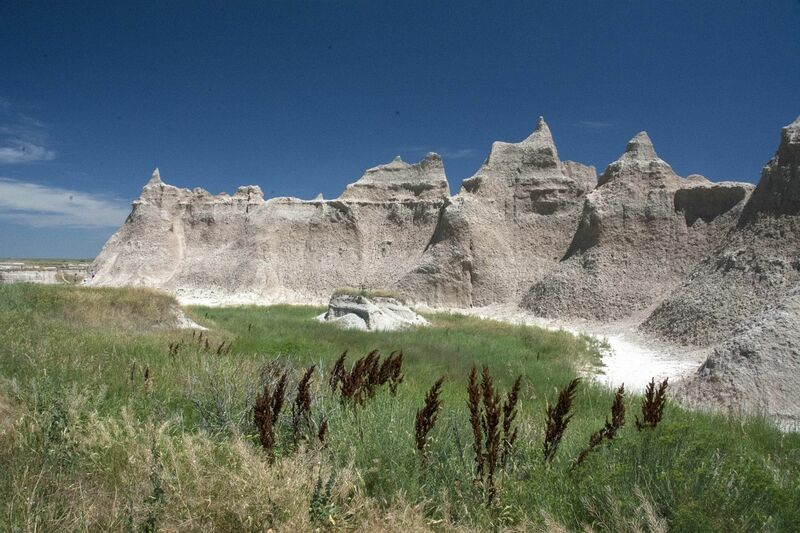 The badlands look magnificant! 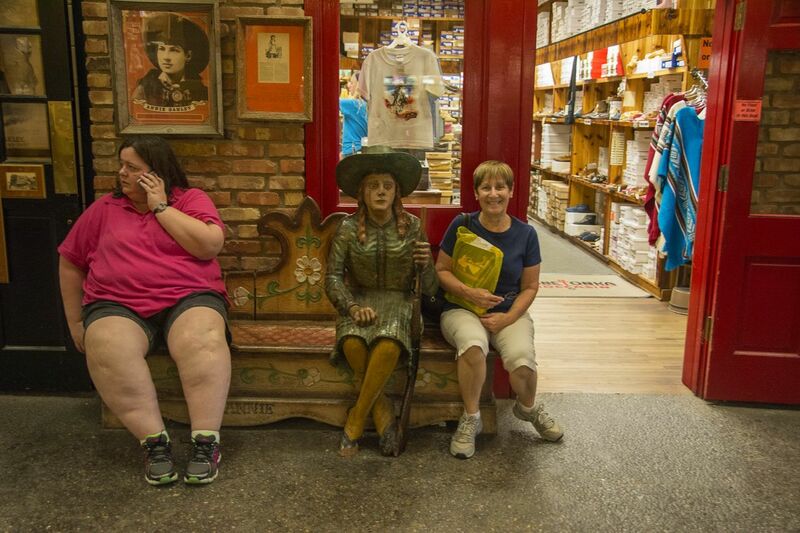 Oh my, a second person who has never heard of Wall Drug! 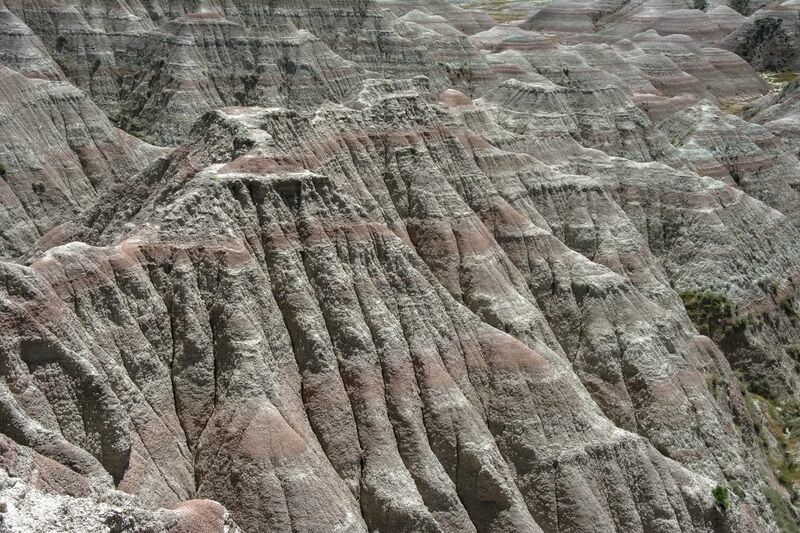 Yes the Badlands were magnificent.